To say that we love Netflix in our house would be a gross understatement. It has been over 8 years since we said goodbye to cable, though we still pay for just the basic network channels, and thanks to Netflix I don't miss it. I find myself always looking forward to what they will be adding next and of course get sad when something I enjoy goes away. This month, my family and I enjoyed some old favorites as well as some new additions. 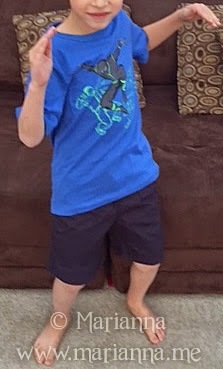 My boys were absolutely thrilled to see Mr. Peabody and Sherman recently added to the Netflix lineup. 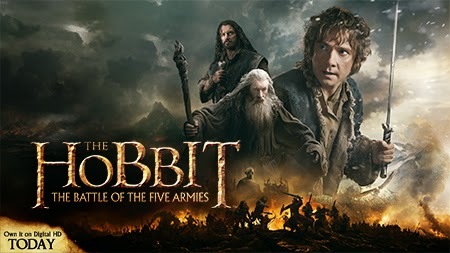 While they all really like this movie, my youngest who is five absolutely loves it. 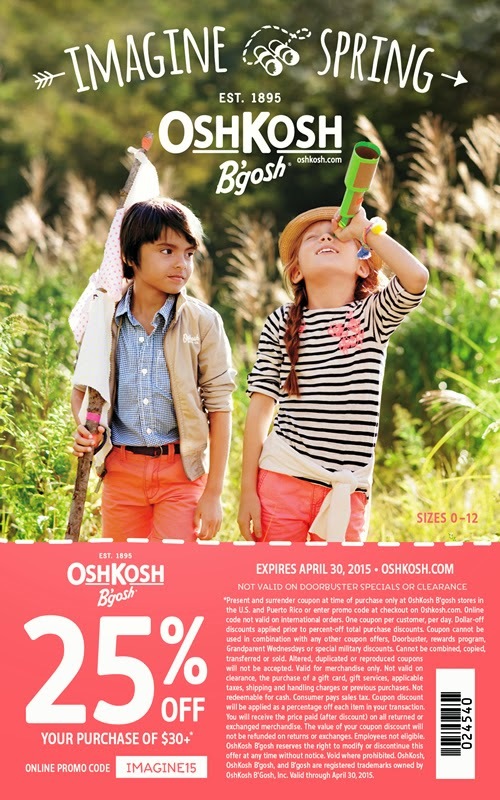 It is a fun adventure that both the kids and parents can enjoy. 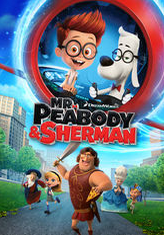 Resurrected from the 1960s animated series "Rocky and Bullwinkle," canine genius Mr. Peabody and young Sherman take a dizzying ride through time. As for me, I enjoyed some new and old favorites. 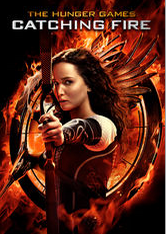 I am a pretty big Hunger Games fan but sadly I did not get to see MockingJay Part 1 in theaters. So when it released a few weeks ago, I found myself at Target bright and early to get my copy. However in order to prepare myself, I needed a little Catching Fire refresher. So I re-watched it for the millionth time on Netflix before I finally dove into the third movie the following day. Catching Fire is my favorite movie of the franchise so far and I love having it just a click away whenever the mood strikes. Then of course I fell back on my old favorite, Friends, which is my most favorite TV show of all time. I tend to be a night owl and stay up late relaxing with the new puppy on the couch and getting some work done. I like to have something to watch while I'm working and Friends has been perfect for my late night viewing. I manage to to get a few episodes in most night, or like last night when I'm really burning the midnight oil I get 6 episodes in. I will never ever tire of the humor and I find myself laughing just as hard as I did the first time I watched them. I can't wait till I get to my favorite "PIVOT" episode, which should actually be coming up soon! 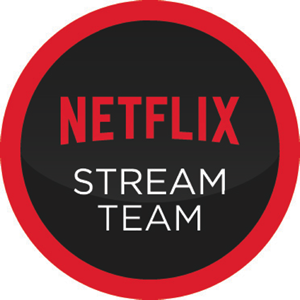 What have you been watching on Netflix this month? Any new shows that you have become addicted to? I participated in an Influencer Activation on behalf of Influence Central for Fellowes Brands. I received a product sample to facilitate my review as well as a promotional item to thank me for my participation. Some links in this post contain affiliate links and I will receive a small commission if you make a purchase after clicking on my link. The clocks have been set an hour forward; the temperature outside is going to be slightly above freezing for a few days.... it seems that Spring is just around the corner. Or at least I hope it is because I can tell you that this New England lady is really sick of zero temps and snow. With Spring often comes weddings and showers and house warming parties and the Fellowes M-12C Shredder will make a sensible gift for any of those occasions. I've had this shredder for a few months now and it is definitely the best one I have ever owned. 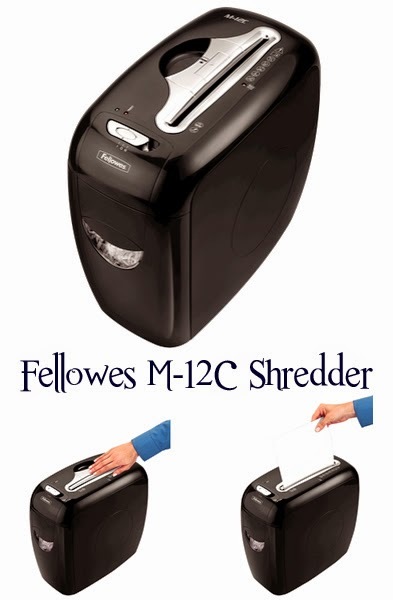 (Read my Fellowes M-12C Shredder review). It is powerful enough to shred multiple pages at a time (up to 12), including staples, which makes the shredding process so much faster and less tedious. No longer do I let my shredding pile build when I can quickly zip pages through whenever necessary. But why would you want to give this as a gift to someone? I know it is not really a fun gift but it is very practical and in my opinion necessary, which overrides fun or cute any day. I certainly would rather have a shredder I will use often over those crystal candlesticks that will just collect dust for the next 25 years. (Seriously, why did I register for those candlesticks? I don't even burn candles.) In this day and age, sadly we can't trust very many people. Identity theft doesn't just happen through online means, but it can be achieved by merely going through one's trash. Using a shredder to destroy any information sensitive documents gives you another layer of protection and I feel it is something many young couples probably overlook. In addition to all of its capabilities, the Fellowes M-12C Shredder also has built in safety features to keep not only little hands safe but your own as well. When skin makes contact with the silver metal around the paper opening, it immediately stops. I also like to keep mine unplugged when not in use for an added safeguard. So if the couple you're gifting this to has little ones running around, or plans to soon, they know that those tiny fingers are safe. Do you have any weddings, showers or housewarming events to attend this Spring? We have one wedding coming up in May that I am looking forward to.